The wait for the first ABS equipped Indian bike is finally over! TVS Motor has launched the first ABS loaded bike in India- TVS Apache 180 ABS, it is priced at Rs 78,800 (ex-showroom, Delhi). The bike comes in only one shade that is white with orange decals. Honda CBR 250R is also going to come here with ABS but it will carry hefty price and bigger engine cc than the TVS Apache 180 ABS. 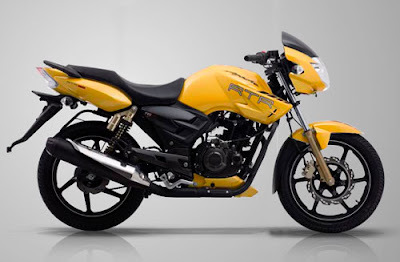 The new TVS Apache 180 ABS is comprised of HECU - Hydraulic Electronic Control Unit - and Independent Wheel Speed Sensors along with additional system RLP (Rear Wheel Lift-off Protection) system. All the three advance systems help to ensure efficient short braking and super secure riding along with unmatchable performance in this TVS bike.